Sidney D. Drell was Professor Emeritus at the Stanford Linear Accelerator Center (SLAC) (1963-present). Other institutional affiliations included Stanford University and the Massachusetts Institute of Technology. His research interests included theoretical physics, National Security, and arms control. September 13, 1926Birth, Atlantic City (N.J.). 1946Obtained BA, Princeton University, Princeton (N.J.). 1947Obtained MA, University of Illinois, Urbana-Champaign. 1949Obtained PhD in Physics, University of Illinois, Urbana-Champaign. 1949 – 1950Research Associate, University of Illinois, Urbana-Champaign. 1950 – 1952Instructor in Physics, Stanford University. 1952 – 1956Research Associate (1952-1953) and Assistant Professor of Physics (1953-1956), Massachusetts Institute of Technology (MIT). 1956 – 1963Professor of Physics, Stanford University, Stanford (Calif.). 1956 – 1964Consultant, Los Alamos National Laboratory. 1960 – presentConsultant, JASON Defense Advisory Group. 1963 – 1973Consultant, Office of Science and Technology, Executive Office of the President. 1963 – presentProfessor of Physics (1963-2002); Executive Head of Theoretical Physics (1969-1986); Deputy Director (1969-1998); and Professor Emeritus (2002-present), Stanford Linear Accelerator Center (SLAC), Menlo Park (Calif.). 1966 – 1969Member (1966-1969) and Chair (1967-1969), Department of Physics Advisory Council, Princeton University. 1966 – 1971Member, President's Science Advisory Committee (PSAC). 1968 – presentConsultant, Los Alamos National Laboratory. 1969 – 1981Consultant, United States Arms Control and Disarmament Agency. 1971 – 1993Member, Board of Directors, The Arms Control Association. 1973 – 1981Consultant, National Security Council (U.S.). 1974 – 1976Member, United States Defense Science Board Task Force. 1974 – 1983Member, Board of Trustees, Institute for Advanced Study. 1974 – 1985Member (1974-1982) and Chair (1974-1985), High Energy Physics Advisory Panel, United States Department of Energy. 1975 – 1991Consultant, Office of Technology Assessment, United States Congress. 1977 – 1982Consultant, Office of Science and Technology Policy, Executive Office of the President. 1978 – 1980Member, Energy Research Advisory Board, United States Department of Energy. 1978 – 1982Consultant, Select Committee on Intelligence, United States Senate. 1980 – 2007Member, Council on Foreign Relations. 1983 – 1989Co-Director, Stanford Center for International Security and Arms Control. 1984 – 1991Member, Aspen Strategy Group. 1985 – 1990Member, Advisory Board, Lincoln Laboratory, Massachusetts Institute of Technology (MIT). 1988 – 1993Member, Carnegie Commission on Science, Technology, and Government. 1989 – 1996Adjunct Professor, Department of Engineering and Public Policy, Carnegie Mellon University. 1990 – 1991Chair, Panel on Nuclear Weapons Safety, Armed Services Committee, United States House of Representatives. 1990 – 1993Chair, Technology Review Panel, Select Committee on Intelligence, United States Senate. 1991 – 1993Member, Director's Advisory Committee, Lawrence Livermore National Laboratory. 1992 – 1999Chair, President's Council on the National Laboratories, University of California. 1992 – 2001Member, Non-Proliferaton Advisory Panel. 1998 – presentSenior Fellow, Hoover Institution. 2000Awarded Enrico Fermi Award, United States Department of Energy. 2011Awarded National Medal of Science. December 21, 2016Death, Palo Alto (Calif.). Daughter and both employed at the Stanford Linear Accelerator Center (SLAC). Co-wrote "Relativistic quantum mechanics" and "Relativistic quantum fields" and both employed at Stanford University and at the Stanford Linear Accelerator Center (SLAC). PhD advisor at University of Illinois, Urbana-Champaign on Magnetic conversion coefficient ; electrostatic scattering of neutrons ; anomalous magnetic moments of nucleons. Advised by Drell at Stanford University on PC conservation in strong intractions and wide angle pair production and quantum electrodynamics at small distances. Advised as post-doc by Drell at Stanford University and both employed at Stanford University. Both employed at Stanford Linear Accelerator Center. Both employed at Stanford University and President's Science Advisory Committee. Both employed at Stanford University, Stanford Linear Accelerator Center (SLAC), and President's Science Advisory Committee. Both employed at Stanford University and the Stanford Linear Accelerator Center (SLAC). Research Associate and Assistant Professor of Physics. Professor of Physics; Executive Head, Theoretical Physics; Deputy Director; and Professor Emeritus. Instructor and Professor of Physics. Obtained MA; PhD in 1949 (Physics); and Research Associate. Obtained BA, Member and Chair, Department of Physics Advisory Council. Chair, Panel on Nuclear Weapons Safety. Consultant and Chair, Technology Review Panel. Member and Chair, High Energy Physics Advisory Panel; Member, Energy Research Advisory Board; and awarded 2000 Enrico Fermi Award. Chair, President's Council on the National Laboratories. Oral history interview with Richard Garwin and Sidney Drell, 2006 May 5. 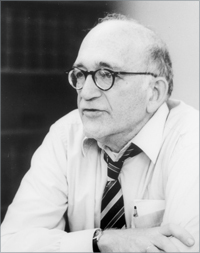 Oral history interview with Sidney Drell, 1996 August 1. Sessions of the annual meeting of Corporate Associates [sound recording], 1971 September 23. Oral history interview with Fredrik Zachariasen, 1986 February 12. Oral history interview with George H. Trilling, 2006 March 1. Deterrence : its past and future : papers presented at Hoover Institution, November 2010 / edited by George P. Shultz, Sidney D. Drell, and James E. Goodby. Electromagnetic structure of nucleons / by S.D. Drell and F. Zachariasen. Implications of the Reykjavik summit on its twentieth anniversary : conference report / conference organizers and report editors, Sidney D. Drell and George P. Shultz. In the shadow of the bomb : physics and arms control / Sidney D. Drell. Nuclear weapons, scientists, and the post-Cold War challenge : selected papers on arms control / Sidney D. Drell. Relativistic quantum fields / [by] James D. Bjorken [and] Sidney D. Drell. Relativistic quantum mechanics / [by] James D. Bjorken [and] Sidney D. Drell. Sakharov remembered / edited by Sergei P. Kapitza, Sidney Drell. The gravest danger : nuclear weapons / Sidney D. Drell and James E. Goodby ; [foreword by George P. Shultz]. The nuclear enterprise : high-consequence accidents : how to enhance safety and minimize risks in nuclear weapons and reactors / edited by George P. Shultz and Sidney D. Drell. The Reagan Strategic Defense Initiative : a technical, political, and arms control assessment / by Sidney D. Drell, Philip J. Farley, and David Holloway.